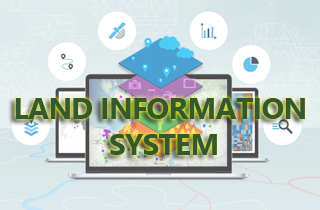 The recently established two branches, namely Geo Names (Geographical names) and NSDI (National Spatial Data Infrastructure) play a significant role to share the land related information cooperating with other interested organizations in the country. 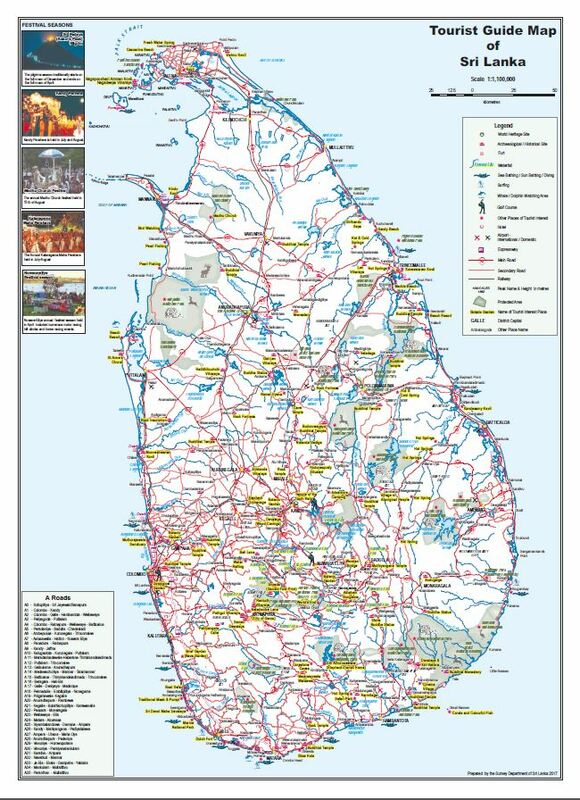 The Sri Lanka Survey Department (SLSD) under the Ministry of Land and Land Development acts as the National Surveying and Mapping agency of the government and is responsible for the standardization and production of all Surveying and Mapping activities in Sri Lanka. 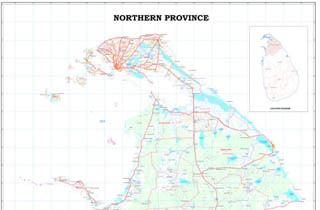 It is also responsible for the establishment of the national Cadaster under the Land Titling Program. 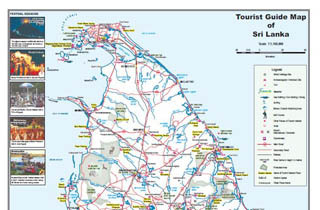 The national budget of the Sri Lanka allocates approximately about Rs. 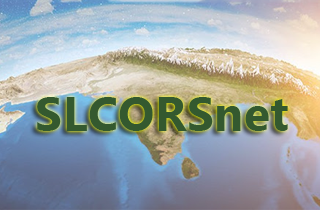 2200 million annually for the activities of the SLSD. 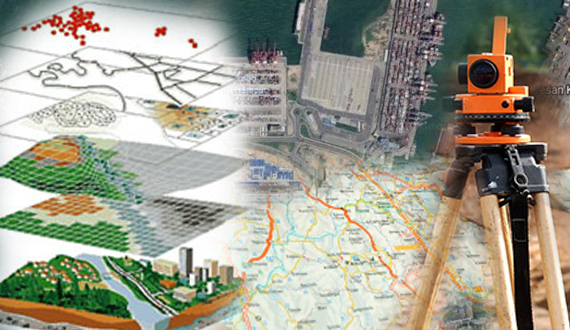 Ministry of Land and Land Development and the National Budget Department intervene improve the Surveying and Mapping activities because of the urgent needs in produce the quality of Geo/Land information which needs by the Planners, Administrators and Industrialists involved in decision making and contributing developing projects in the country. 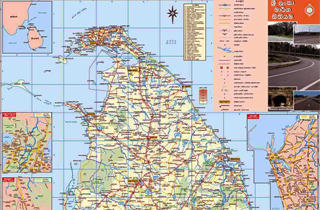 Ceylon was ceded to British in year 1796. 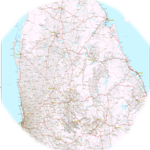 Sir Frederic North was proclaimed the Governer of Ceylon with the exception of the Kandyan Territory ruled by the King of Kandy, by a commission dated 06th March 1798. 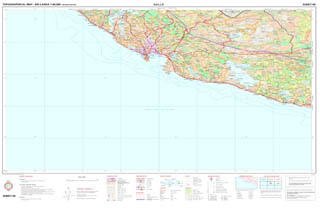 The famous land proclamation dated 3rd May 1800 desired abolition of common land holdings and envisaged individualization of land ownership and there by land surveys become a vital needHaving explored whatever the existing mode of Surveying of land in the island, the proclamation dated 2nd August 1800 was made outlining the original functions of the Surveyor General by the Governor “Sir Frederic North” and as a consequence, the Ceylon Survey Department was established. 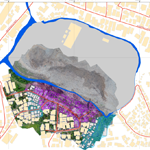 The basic requirement is to get a copy of Survey Plan the particular land has to be surveyed by the Survey Department previously.Then you have to correctly located on such interested land on the map or plan. 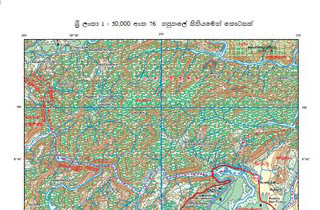 Providing of information on village, Divisional sectary division, Kolara, Pattu, will be helpful for departmental staff to correctly locate your land on the maps.By carefully reading of the deed documents it can be find those reference and references given to any survey plan There is special from to provide these information is the district survey office and to fill that form you can get help from departmental staff. 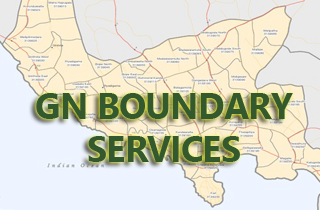 If particular licensed surveyor has dead or immigrated relevant documents are taken over by another licensed surveyor closed by. 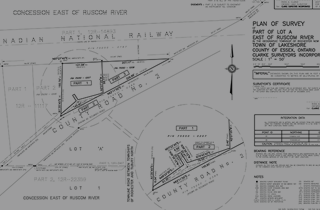 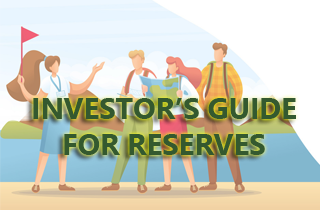 In most cases the Land Survey Council may be able to help you in this regards. 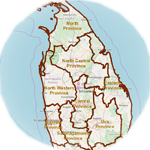 Examination for issue of certificate for licensed draughtsman is conducted annually and will be publish in gazette notification. 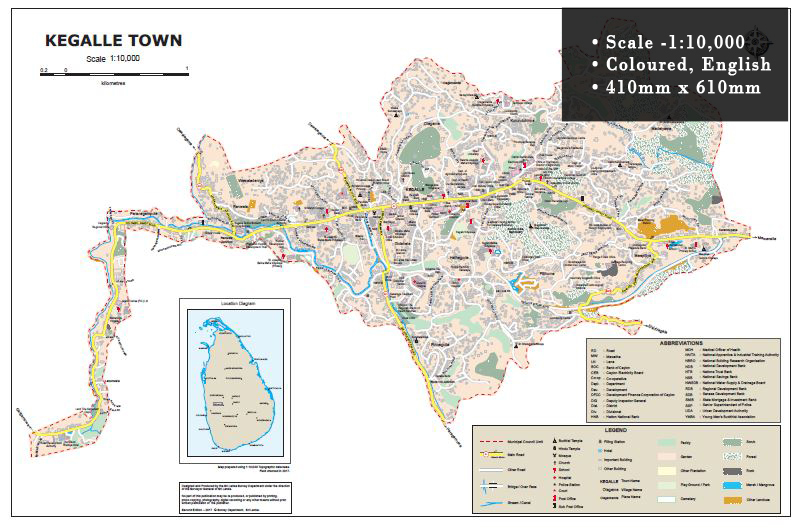 Interested parties can be apply for the examination and those who passed the examination will be issued with the certificate of licensed draughtsman. 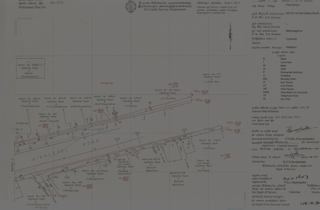 Those who process this certificate can be practice under the registered licensed surveyor. 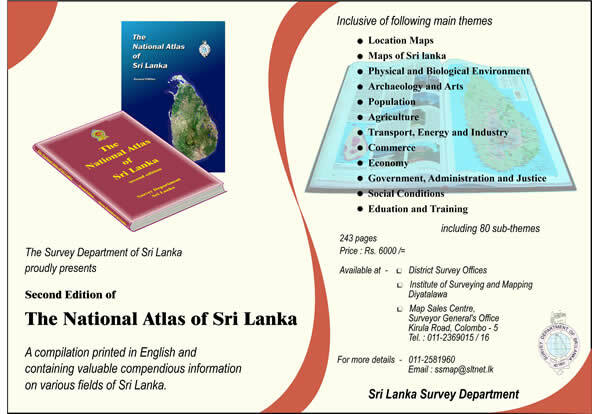 Applications are call by Gazette notification normally published by April every Year and Examination are held on June and August. 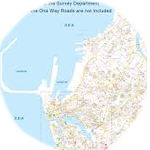 It is possible to complain against any surveys done the government surveyors at any time directly to the Additional Surveyor General(field) by telephone or by letter. 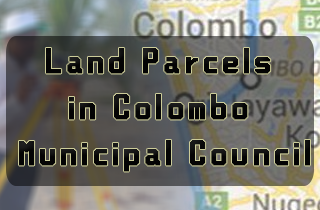 If the particular survey has done by the registered licensed surveyor complain has to be logged at Land survey council located at Surveyor General’s office. 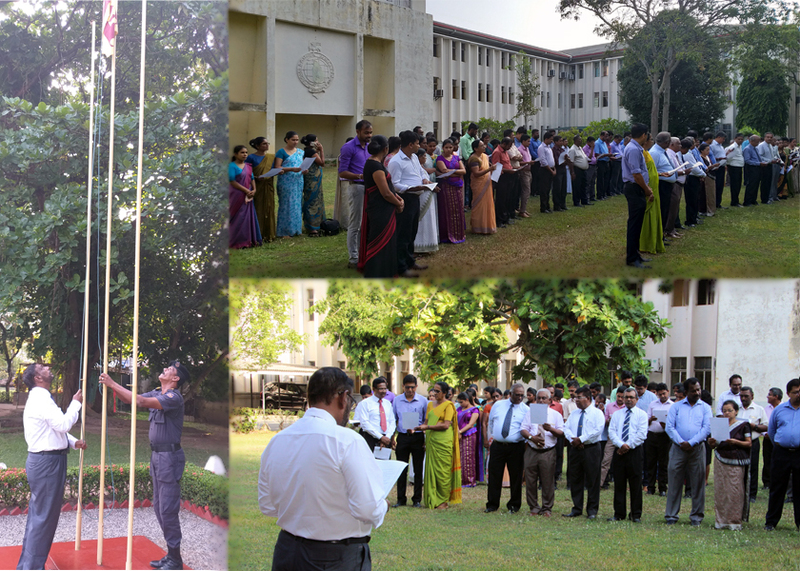 By contacting Geodetic Branch located at Surveyor General's office, Colombo. 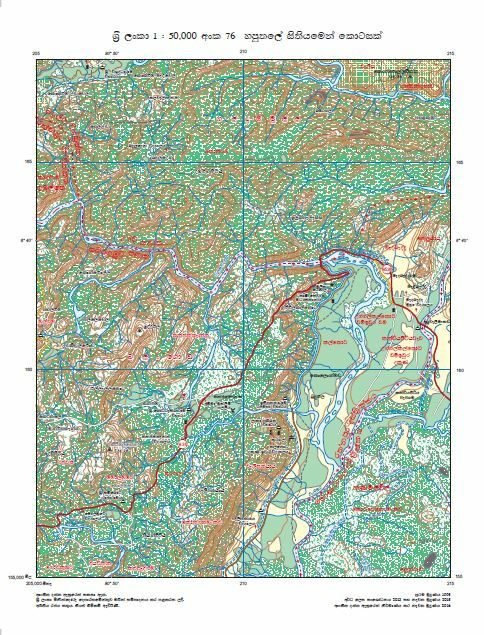 It is possible to obtain Geodetic Coordinate and conversion of coordinates to latitude/longitude into north and East or vise versa. 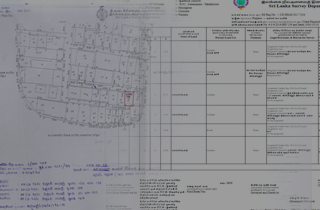 The certificate holder has to go to District Survey for the Subsequent surveys of land issued with title certificate. 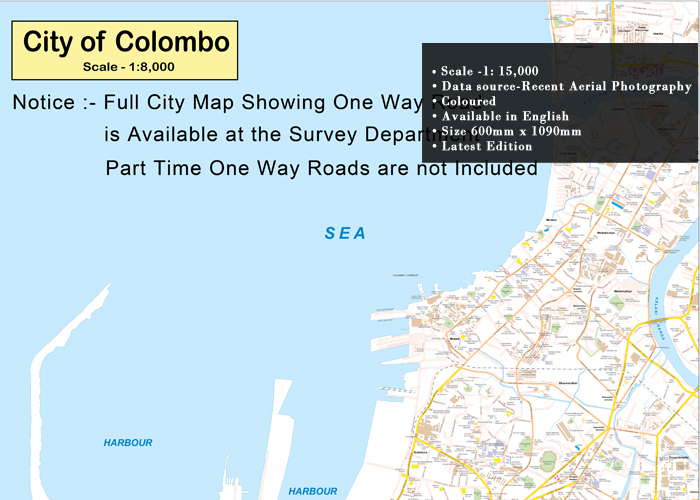 Senior Superintendent of Surveyors will study the relevant document and inform the cost of survey. 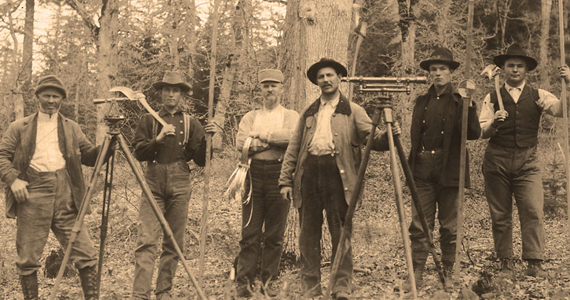 Survey fees are depend on the location of the land, work to be done etc. 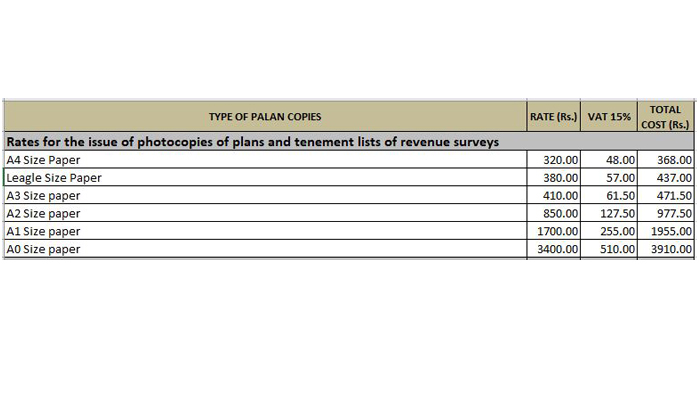 After payment of survey fees, work will be done by the department. 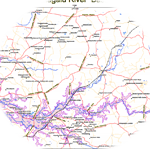 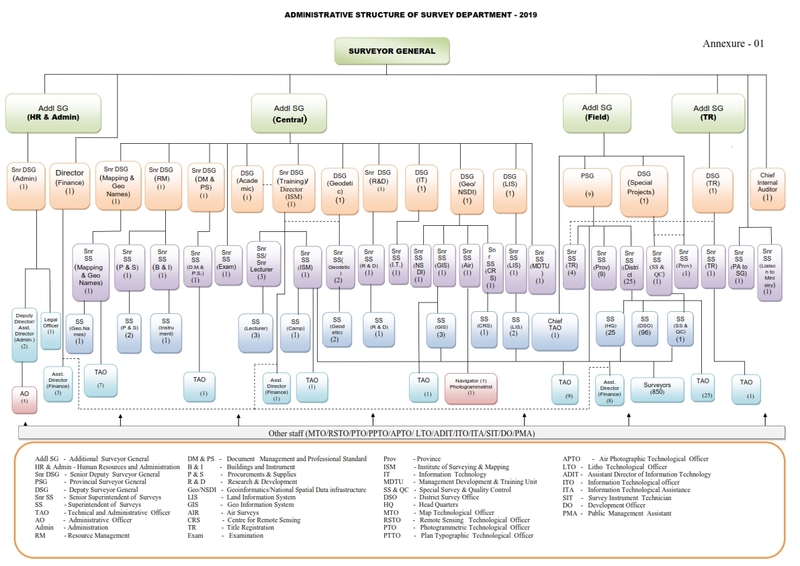 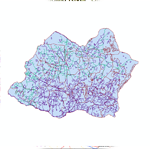 Sub division of Amalgamate of land which has issued Title Certificates. 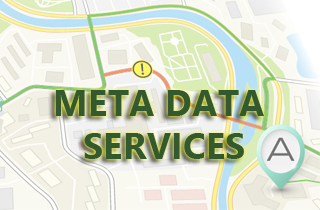 In addition that this type of work can be get done through registered licensed surveyors near by and it may be more convenient. 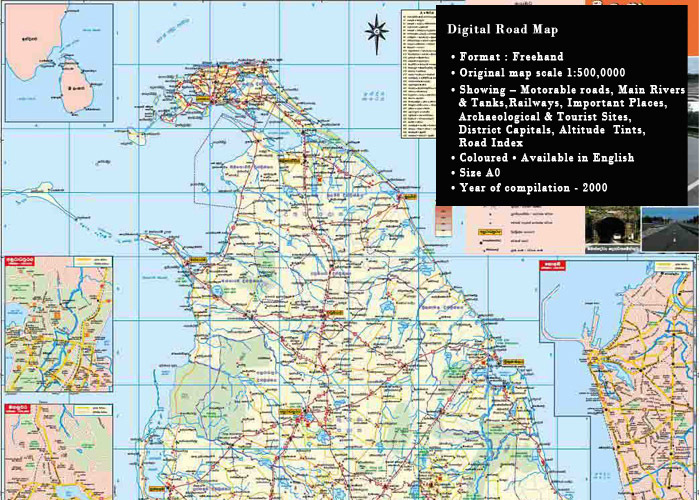 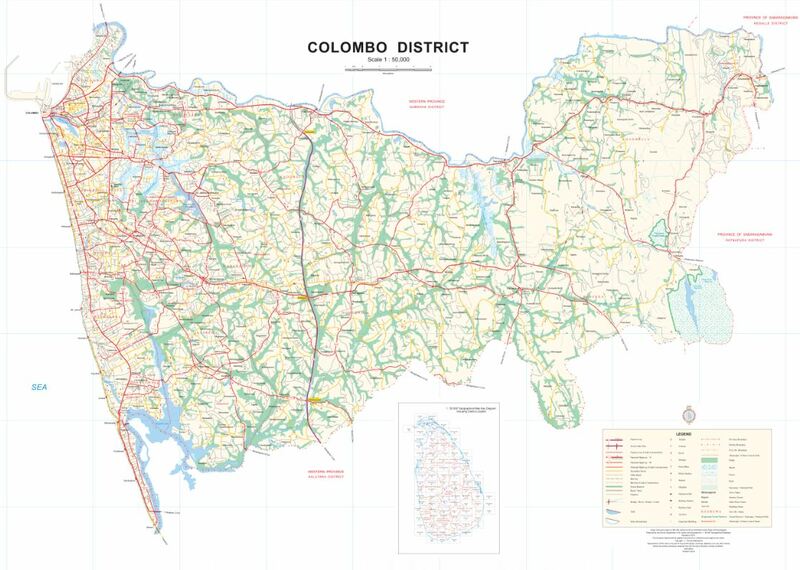 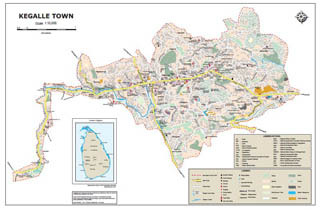 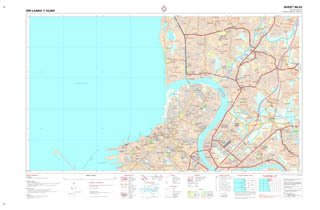 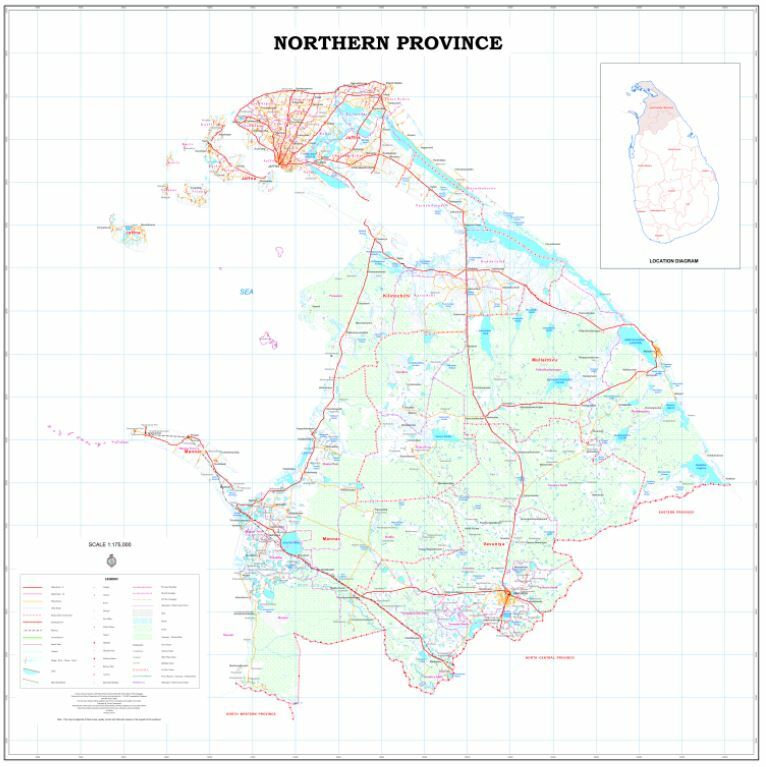 All printed maps can be purchased at Coustemer Service Centre ,Surveyor General's Office Colombo & District Survey Offices in each District. 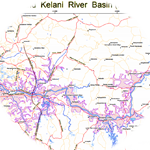 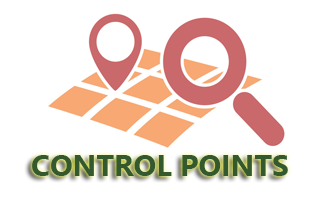 It facilitates you to search Land information. 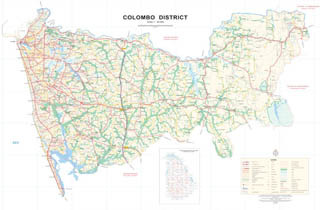 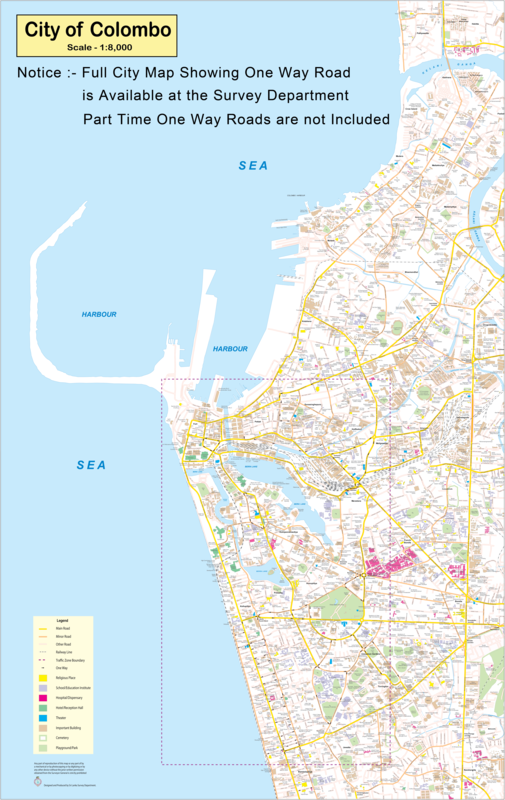 Map showing Forest, Wildlife, Coast Conservation and Other Reserves. 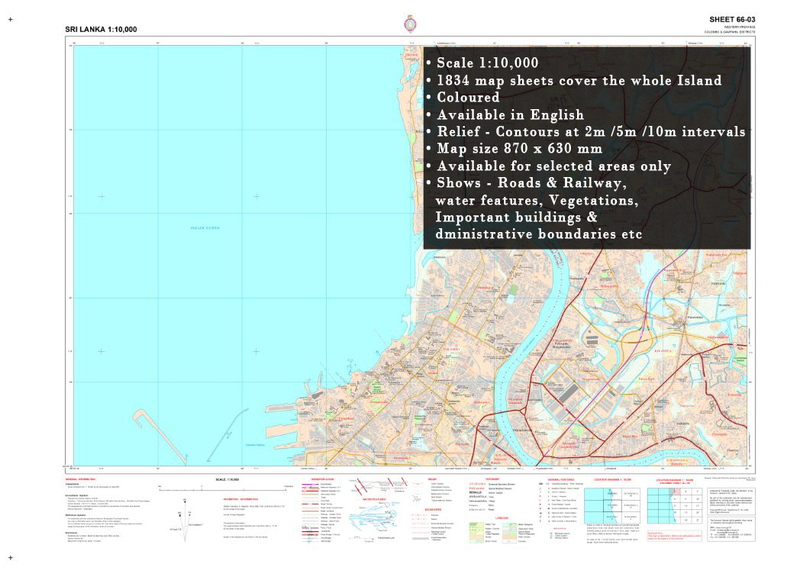 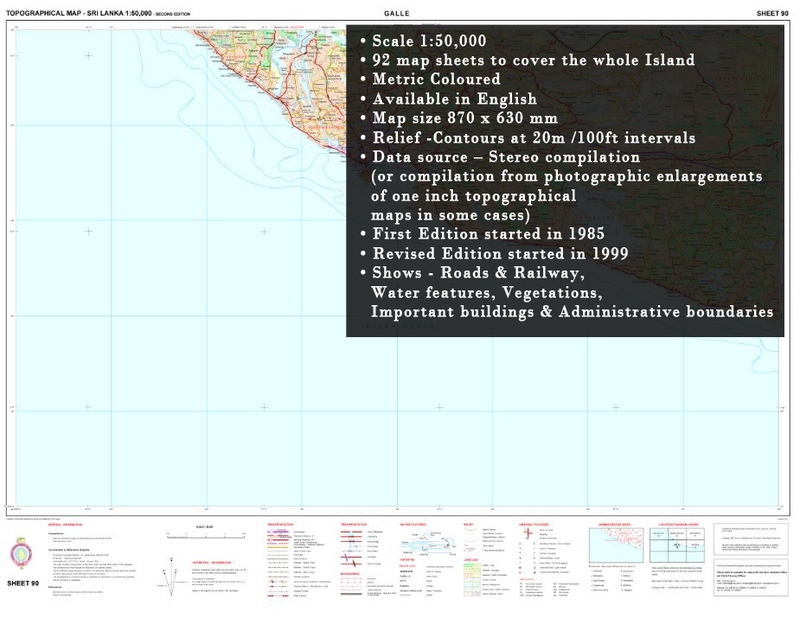 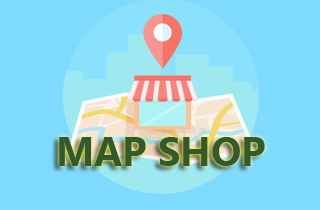 Map Portal, where you'll have access details on a wide range of Survey Department maps. 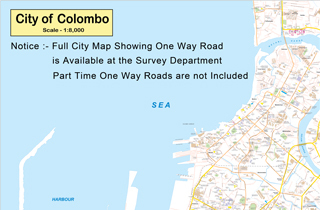 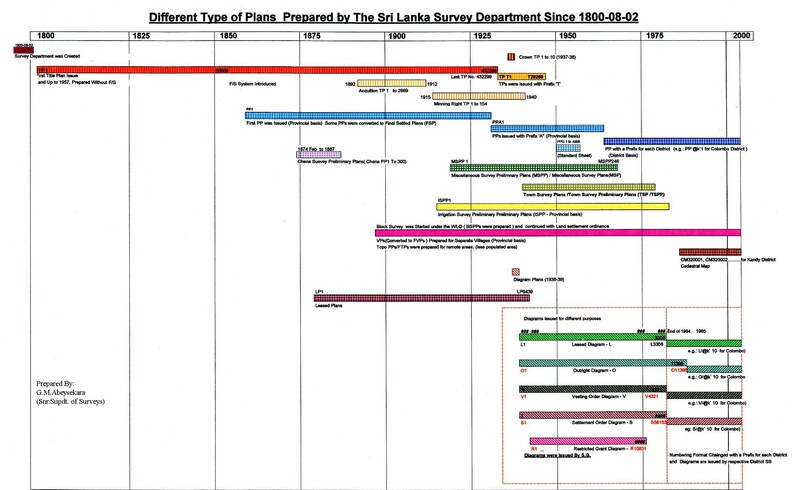 The Survey Department of Sri Lanka serves as the National Agency for Survey and Mapping, and holds this particular responsibility to the Nation. 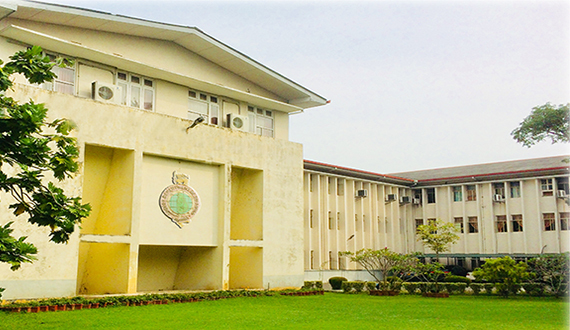 The department was established in the present form in the year 1800.